Why Economy of Indonesia would be stronger in 2018? February 20, 2018 February 20, 2018 admin 0 Comments Economy of Indonesia 2018, Proyeksi Ekonomi Indonesia 2018, Why Economy of Indonesia would be stronger in 2018? 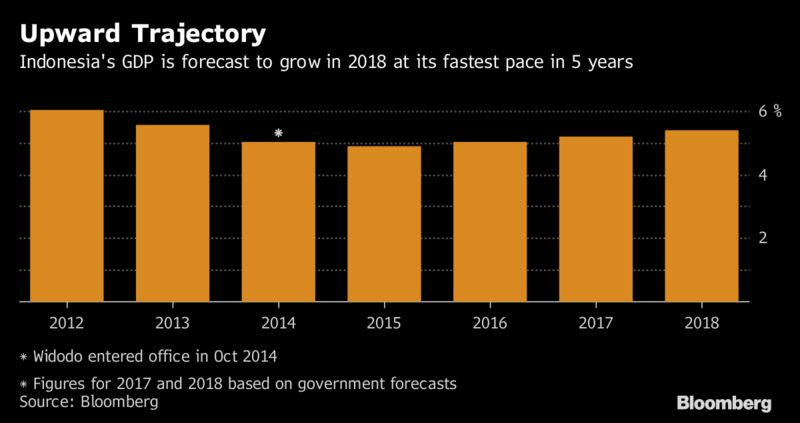 Indonesia’s economy is in a stronger position as it enters 2018, bolstering President Joko Widodo as the nation gears up for elections. Having notched up growth above 5 percent in every quarter so far this year, the economy is forecast by the government to expand 5.4 percent in 2018, which would be the fastest pace in five years. The median estimate in a Bloomberg survey of economists is for growth of 5.3 percent. Foreign investment is picking up, inflation is subdued, more people are in jobs and a landmark infrastructure program is taking shape. That’s a far cry from when the president, known as Jokowi, took office in October 2014, faced with a slowing economy, inflation exceeding 8 percent and a weakening currency. 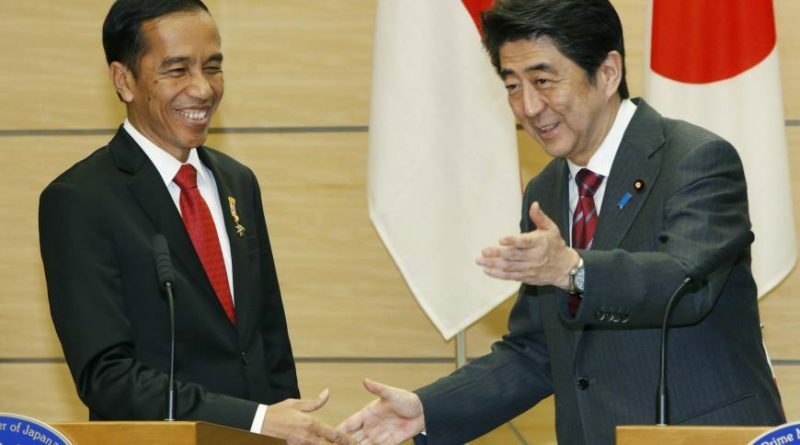 With local elections in June and attention already turning to the 2019 presidential race, the economy’s recovery adds support for Jokowi if he seeks a second term. With a budget deficit cap of 3 percent of gross domestic product, the government is putting more efforts into boosting tax revenue to help finance spending plans. It plans to bring the deficit down to 2.2 percent of GDP next year from an estimated 2.9 percent this year. 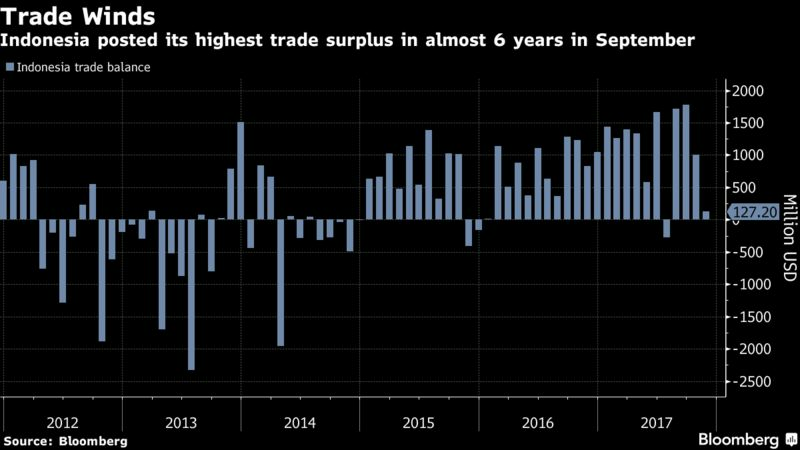 An export boom across Southeast Asia has benefited Indonesia as well, with the trade surplus reaching its highest in almost six years in September, helping to keep the current-account deficit under control. David Sumual, chief economist at PT Bank Central Asia in Jakarta, said the economy is in a stronger position than it was several years ago, giving the central bank room to hold off on raising interest rates just yet. The situation could change if the Fed and other central banks accelerate the pace of rate hikes, he said. Inflation has also been subdued, reaching 3.3 percent in November. Bank Indonesia expects a further deceleration in 2018, reducing its target to a range of 2.5 percent to 4.5 percent from 3 percent to 5 percent this year. Economists surveyed by Bloomberg have diverging views on where the benchmark rate is headed next year, with forecasts ranging from a cut, no change to an increase. Official campaigning for the 2019 presidential election kicks off in September, while regional elections are due in June. That may distract the government from its reform push, which has been “somewhat more gradual” this year, according to Anushka Shah, a sovereign analyst at Moody’s Investors Service in Singapore. ← Why China is an Innovation Superpower Country?